When it comes to skincare some may think you have to buy highend in order to get good results however after many years of trailing different products from ones that will break the bank to ones that can be bought with the spare change in your pocket, I have found some real gems that won't cost you the earth. Starting off with cleansers/ makeup removers, two that I can highly recommend is Botanics Gentle Cleansing Cream Ultra Calm. Like it says on the tin its targeted for sensitive skin so its super gentle and smells like marshmallows but it doesn't irritate the skin. This product is a creamy consistency so its best to either to apply with a cotton pad or I like to do slap it all over the face buff in with my hands and remove with a hot cloth. It removes all traces of makeup and leaves the skin super soft. 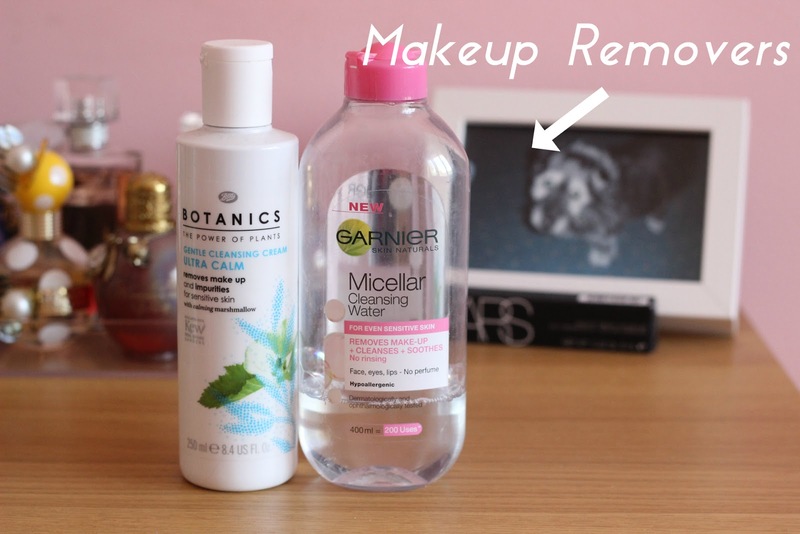 Now if you want an easier makeup remover fix, pick up the Garnier Micellar Cleansing Water, not the first time to make an appearance on my blog and its no wonder why. This stuff is amazing, quickly removes makeup, doesn't irritate the skin and is a fraction of the cost of Bioderma. Highly recommend. Now I'm not one to use Toners that much as I can never find one that doesn't strip my skin, however I came across this one a few months back. 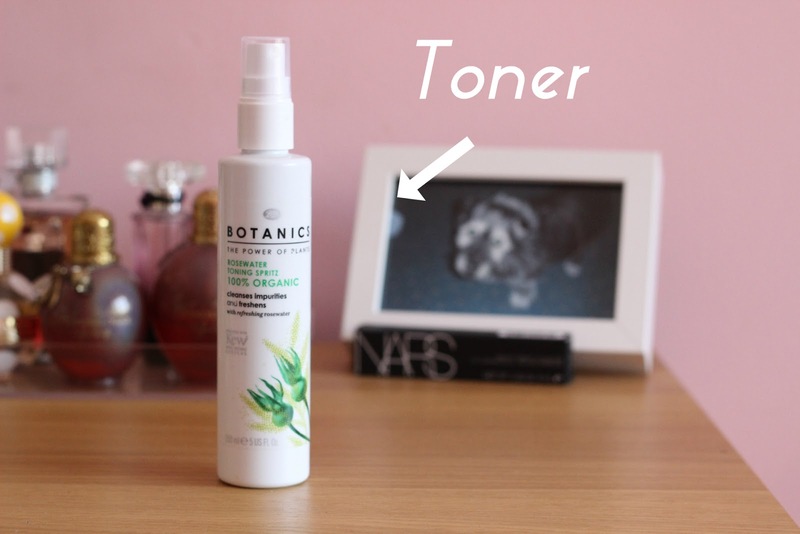 Botanics Rosewater Toning Spritz smells like Turkish Delight in a bottle. Smell aside though its a refreshing mist that tightens the pores and cleanses the skin. It also leaves the skin looking brighter which is a nice added bonus. Also its under €6. As for masks and treatments, I seriously had to narrow it down so I decided to show two I haven't spoken of before. 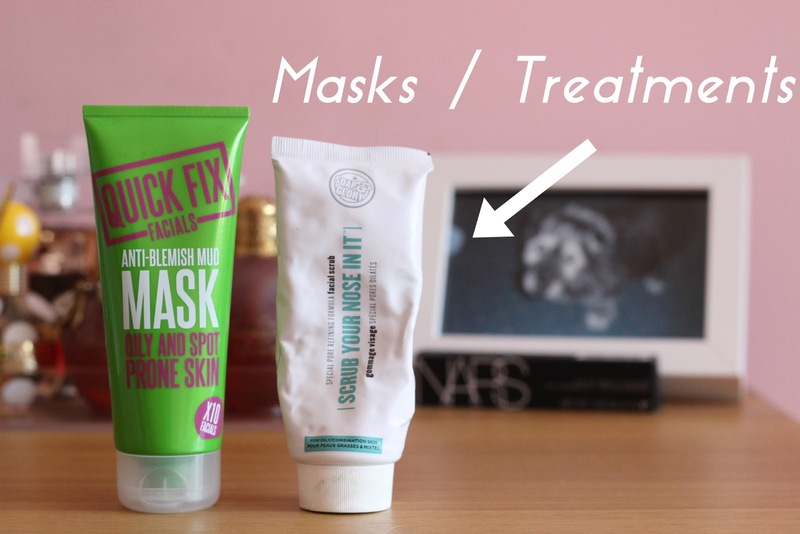 For a mask I have picked Quick Fix Facials Anti Blemish Mask, now there are other masks in the range in fact they do one for every skin problem you can think of so there is something for everyone. I find the anti blemish one to be a calming mud mask that helps active breakouts and leaves the skin looking and feeling softer and brighter. Now for a good dead skin remover I highly recommend Soap and Glory Scrub Your Nose In It, this is a AHA scrub that removes all dead skin and makes the skin noticeably softer and gives you a clearer looking complexion. I love to use this all over the body, on the legs to prevent ingrowing hair, on the face when its looking a little dead and on the soles of my feet to remove any hard skin. It is a truly amazing product and its under €13, bargain! So there are some budget skincare products that would break the bank but will stay give you great results. 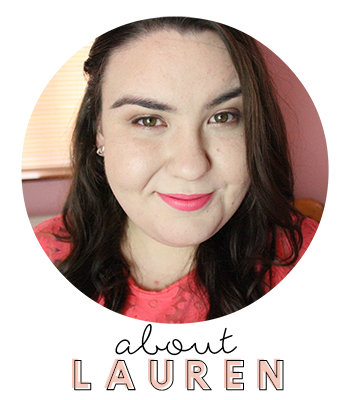 Now you can have a full skincare routine without spending all your cash. What products do you love that are purse friendly?